Some New Events!!! read this post! 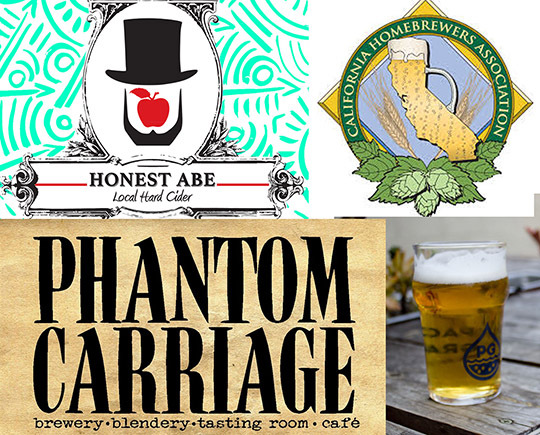 This just in: Strand Brewers invited us to join in on the collaboration with Honest Abe Hard Cider. We will have a chance to buy cider/juice through the cidery. Turn our homebrewed ciders into a competition between Strand and PG for a chance to brew/collab your cider with Honest Abe Hard Ciders. Also there maybe possible runner up and participant prizes too. If you brew Cider’s or want to give it a try this is your chance now! Take this survey now to let us know your interest in purchasing the Juice! The more people that sign up the cheaper it will potentially be. Click on the link below. Here’s what Bob wrote to Strand about the event so far: Folks, We’re planning an informal ciders-only competition hosted by Honest Abe Hard Cider. 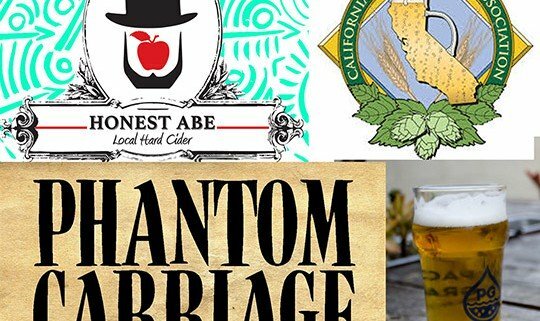 Basically we’re going to invite members of our club and Pacific Gravity to participate in a group (unfermented) cider purchase, followed by a competition to declare the best cider maker from each club. These winners will then collaborate with Honest Abe on a yet-to-be-determined project. Details are still being worked out, but we want as many people to participate as possible, so please indicate your interest in the survey provided. Also check out Strand’s Facebook page, Bob put up the survey earlier and there is a lot of Q and A already in the comments of the survey post! Next: Pacific Gravity and Phantom Carriage Barrel Project. 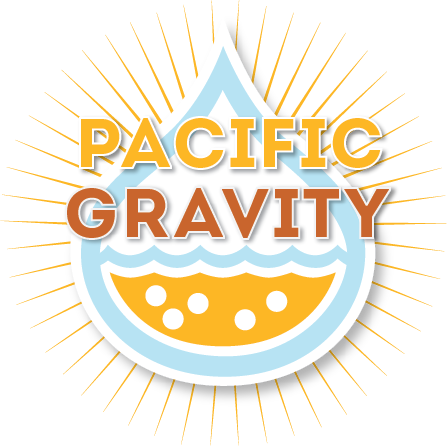 Simon at Phantom Carriage has offered Pacific Gravity a chance to do a fun barrel project. Some of the details are still being worked out, but if you brew sour homebrewed beer this is your chance to get them into the barrel project! Please bring your bottled homebrewed soured beer to next months meeting in May (note: the regular scheduled style of the month will stay the same). Don’t have your Sour beer in bottles yet, like me? No problem, but you will need to pull some of the sour beer and mix up a bit or pull a bit of slurry from the bottom of you carboys. We need those good dregs of sour beer bacterias. Make sure to put it in a sanitized bottle or mason jar, possibly cold crash it in the fridge to drop out the bugs to the bottom clearing the sour beer for sampling. We’ll need some good sour beer to taste and judge who’s going into the barrel (sorry no acidic bombs). Prizes and swag may be involved to the best sours of the night. Not a sour brewer? Feeling left out? no problem as well, just bring your favorite commercial sour beer that contains live cultures and have a chance to have its bottle dregs added as well to the Barrel culture. Simon will have a large sterile mason jar with some wort ready to go at May’s meeting to get those dregs and cultures ready for the barrel. Details on style and when they are headed to the barrel are still be worked out. Last: Southern California Homebrewers Festival camping and a call for kegs. This is your last chance to email us and sign-up for camping at the festival with PG, its one of those amazing events that people who go once go every year after. Check out sign up info here. Also we need more beer!!!! at the fest. Please email us if you want to donate beer to serve at the fest. Terry and Carl’s house are keg drop off points. Beer sign up here. Be a Brewer at the Big Brew! We had a sign up sheet at last April’s meeting, I saw a few All-grain brewer’s already signed up. I would also love to see people signed up for Extract Brewing, Steeping, and Partial Mashing. I would also love it if some one wanted to demonstrate Mead making and possibly Cider too. This is a great time to make beer for our up and coming Summer Party in July, while demonstrating to anyone looking to learn about the different processes and techniques of homebrewing! http://pacificgravity.com/wp-content/uploads/2016/04/events2_small.jpg 435 540 lloyd http://pacificgravity.com/wp-content/uploads/2015/01/pg_logo.png lloyd2016-04-26 14:13:052016-04-26 14:13:05Some New Events!!! read this post!